Clive R. Neal has been involved in the study of the Moon since 1986 using Apollo samples, lunar meteorites, as well as remotely sensed data from missions including and since Apollo. He has also served on mission and research review panels, including being the Chair of the Lunar Sample Allocation subcommittee 2005-2009, and was a member of the Senior Review panel for NASA’s Planetary Science Division in 2012 and chaired that panel in 2014. He is the current chair of NASA’s Lunar Exploration Analysis Group, a group that he chaired from 2006-2010. Neal is passionate about NASA and in returning humans to the Moon and beyond in a sustainable, economically beneficial way. 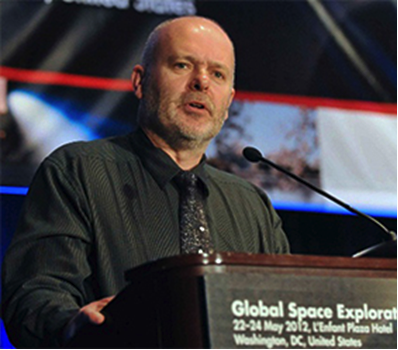 In 2015, he received the NASA “Wargo Award” for contributions to the integration of exploration and planetary science throughout his career.